Covered Car Park, Open Car Park, Mini-Mart, Cafe, Playground, Swimming Pool, Barbecue Area, Gymnasium, activity hall and 24 hours security. 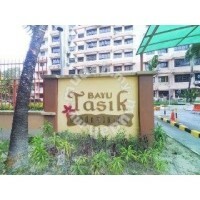 Bayu Tasik Condominium is a nicely designed high-rise condominium located at Jalan Sri Permaisuri 3, Bandar Sri Permaisuri, Kuala Lumpur. It is believed to have the best strategic location. Bayu Tasik 1 is strategically located with easy access to major expressways such as the Kuala Lumpur – Seremban Highway, BESRAYA highway, the East-West Link Highway, Middle Ring Road 2 (MRR2), Cheras-Kajang highway, plus also internal service roads that services the vicinity such as the Jalan Sri Permaisuri, Bandar Tun Razak, Taman Mulia, Jalan Cheras and Jalan Loke Yew. Thus, no headache of traffic jam to enter or to exit the township. Bayu Tasik 1 has convenient access to public amenities and township facilities such as integrated feeder bus to RapidKL LRT Bandar Tun Razak, Salak South and Cheras stations, bus and taxi services, primary and secondary schools, near Hero Supermarket. Only a few minutes drive to Jaya Jusco in Taman Maluri. 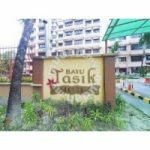 Bayu Tasik 1 is so near to recreational park and sports facility such as the 40 acres Taman Tasik Permaisuri, two scenic lakes of 60 acres for recreational and leisure activities. Located witin the vicinity are Kuala Lumpur Football Stadium, DBKL indoor sports hall, and DBKL swimming pool. Located within the vicinity too are wet market, banks, Jabatan Pengangkutan Jalan (JPJ) department, shop lots, eateries and restaurant, 7-Eleven convenient store, petrol stations, downtown, mosque, and UKM Hospital (HUKM).